We’re just back from a quick visit to St. Petersburg, Russia, where I had a chance to visit with Dr. Julia Lajus, a historian of science at European University. We had a long talk about the history of fisheries science in the North Pacific Ocean and how the development of this science involved not only American scientists, but Soviet and Japanese scientists as well. It’s an important story and we’re both interested in finding out more. I was happy to get back to the Rachel Carson Center in Munich and find this short biography that Dr. Donald Gunderson has written about our friend and mentor, Jergen Westrheim. I’d like to thank Don and his friend, Bob Hitz, for taking the time to jot down their thoughts on the importance of Jergen’s work. If we’re going to tell the story of the development of fishing and fisheries science in the North Pacific, we need the memories of people like Don, Bob and Lee Alverson. 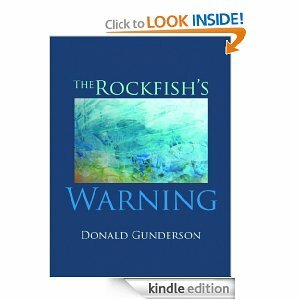 Don is the author of an important book, The Rockfish’s Warning, a synthesis of his research and teaching at the School of Fisheries at the University of Washington. Readers of “Lee” Alverson’s book Race to the Sea are familiar with the primitive state of rockfish research in the years following World War II, and the rapidity with which the Soviets and Japanese fleets of factory ships were coming on line to exploit the rockfish. While Julius Phillips had developed a taxonomic key for Pacific rockfish, and carried out pioneering work on the life history of California rockfish, few people could even tell them apart when I started my first job with the Washington Department of Fisheries in 1966. Phillips’ key was difficult to use, and although Bob Hitz had recently (1965) published a field identification guide for northeastern Pacific rockfish, most marine biologists still found it difficult to tell them apart at sea. 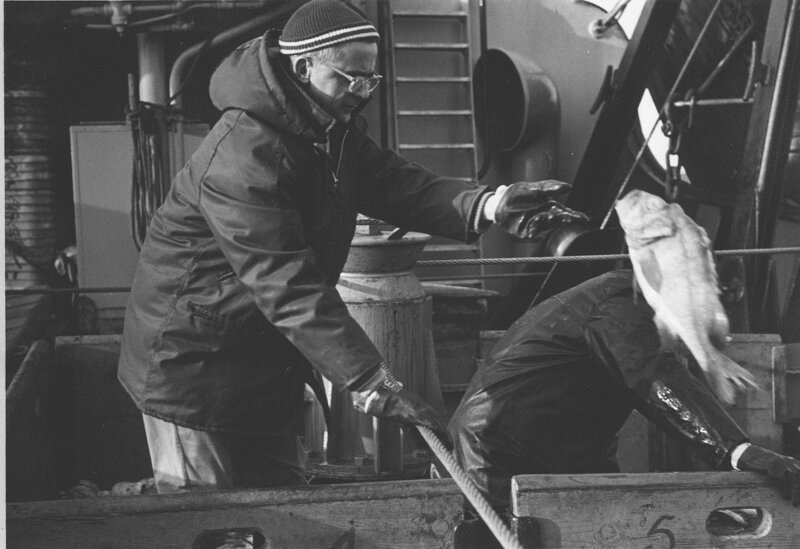 Jergen Westrheim had recently been lured from Oregon to the Fisheries Research Board of Canada, and had undertaken an exploration of the rockfish resources in the Gulf of Alaska, British Columbia, Washington and Oregon during 1963-66. Westrheim had worked extensively with rockfish while at the Oregon Fish Commission, and began his explorations with a clear understanding of the taxonomic difficulties he faced. Collaborating with biochemist Henry Tsuyuki, he established a protocol whereby each questionable rockfish specimen was photographed, and a blood sample taken for electrophoretic analysis of their hemoglobin proteins. Westrheim and Tsuyuki quickly uncovered several previously unidentified species. 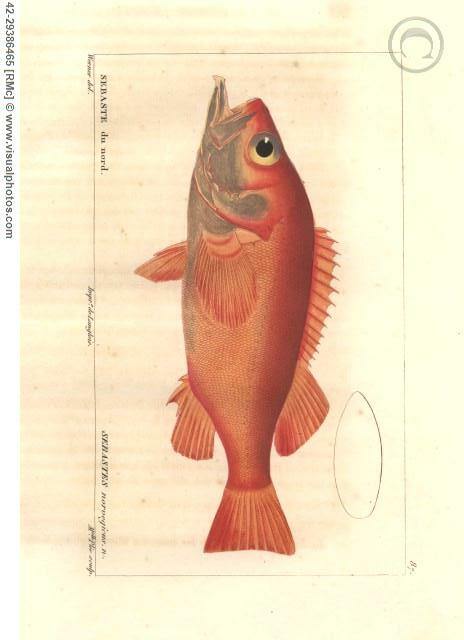 They were able to name and describe yellowmouth rockfish (S. reedi), and what were to become the shortraker rockfish (S. borealis; both Westrheim and Barsukov in Russia discovered and described this species simultaneously), dusky rockfish (S. variabilis), and blackspotted rockfish (S. melanostictus). Equally important, they were able to determine meristic characters (head and body spines in particular) that could be used to distinguish each species with certainty. Hitz, Westrheim, and Tsuyuki carried the difficult taxonomic work initiated by Julius Phillips into the Gulf of Alaska, and made it accessible to field biologists that were beginning to investigate rockfish resources in the region. During his 1963-1966 cruises, Westrheim also explored the magnitude of the rockfish resources in the area, focusing on Pacific ocean perch (S. alutus). Westrheim’s surveys of Queen Charlotte Sound were particularly noteworthy, since the inadequacy of nautical charts for the area forced he and the crew of the G. B. Reed to map its bathymetry themselves. 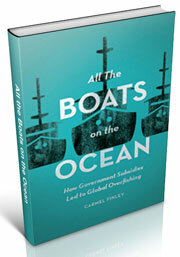 This undertaking led to the discovery of Moresby Gully and a large, unexploited stock of Pacific ocean perch (POP). Westrheim’s (1958) M.S. thesis included a pioneering analysis of the age and growth pattern of Pacific ocean perch using scales, and established that they were far older and slower-growing than anyone had suspected. Westrheim later became convinced of the shortcomings of age readings based on scales, and began collecting otoliths and using them to age rockfish. He showed conclusively that the ages obtained from otoliths were far greater than those derived from scale readings of the same fish, ending a lengthy (and often heated) debate with Japanese and Soviet scientists. While exploratory surveys by the Soviets, the U.S.Bureau of Commercial Fisheries, and Westrheim had all established that there were prodigious stocks of Pacific ocean perch in the Gulf of Alaska, Westrheim’s otolith methodology showed that they were only capable of sustaining relatively low annual catches. Westrheim then collaborated extensively with colleagues in Canada and the United States to develop the first quantitative stock assessments for Pacific ocean perch off British Columbia,Washington, and Oregon. Yet he didn’t stop there. He was passionate, proactive, and effective in his management activities with the International North Pacific Fisheries Commission, and in bilateral meetings with the U.S., Soviets and Japanese. Westrheim had spent many years in the trenches of Columbia River salmon management warfare, and his experience and leadership no doubt saved several Pacific ocean perch stocks, particularly those in Queen Charlotte Sound, from being severely depleted. Westrheim also collected life history information on most of the rockfish species he encountered during his 1966-1976 surveys. The otoliths, maturity data and size composition data collected under Westrheim’s leadership eventually allowed him to document the annual reproductive cycle and size at maturity for most of the rockfish species they commonly encountered, and age and growth characteristics for many of them. Westrheim’s pioneering research filled in critical gaps in our knowledge of rockfish abundance, taxonomy, biology, and population dynamics at a time when very little information existed. Like Julius Phillips in California, his energetic and innovative research served as a gold standard for his contemporaries, and established a sound basis for the management of rockfish stocks in the northeastern Pacific. 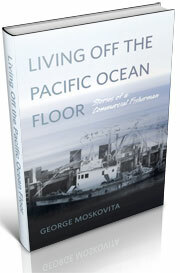 He was instrumental in putting an end to the depletion of Pacific ocean perch and other rockfish by foreign fleets, and establishing the survey protocols, data collection networks, and management policies that would allow effective domestic management of groundfish stocks under extended jurisdiction. Westrheim, S. J. 1970. Survey of rockfishes, especially Pacific ocean perch, in the Northeast Pacific Ocean, 1963-66. Journal of the Fisheries Research Board of Canada 27:1781-1809. Westrheim, S.J., D.R. Gunderson, and J.M. Meehan. 1972. On the status of Pacific Ocean Perch (Sebastodes alutus) Stocks off British Columbia, Washington, and Oregon in 1970. Fish. Res. Board of Canada Technical Report 326.48p. Westrheim, S. J. 1975. Reproduction, maturation, and identification of larvae of some Sebastes (Scorpaenidae) species in the Northeast Pacific Ocean. 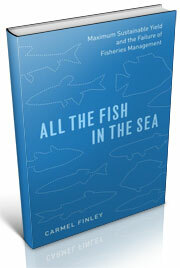 Journal of the Fisheries Research Board of Canada 32:2399-2411. This entry was posted in Environmental History, Fishing, History of Science, Maritime History, Ocean fishing, Pacific Fishing History Project, Rachel Carson Center, Rosefish, Sebastes rockfish and tagged Fisheries Science, Henry Tsuyuki, Jergen Westrheim, otoliths, Pacific Ocean Perch, rosefish, science, Sebastes, trawling, University of Washington. Bookmark the permalink.